In a recent ‘Words from our Word Box’ update, we included the term bush soap, and explained it as: ‘The leaves of any of several Australian plants that may be used as a soap substitute. When rubbed vigorously with water, the leaves produce a soap-like lather, thanks to the chemical compounds (saponins) they contain.’ We noted that the earliest evidence in print for bush soap occurs in the early 1990s. 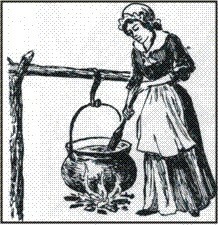 There is some evidence for the DIY bush soap after the 1920s, but in recent decades another, very different, kind of bush soap has become available. This is a luxury item, a toilet soap that includes ingredients derived from plants native to the Australian bush, such as eucalypt, tea-tree, native mint, and lemon myrtle. The element bush in this case refers to the natural vegetation of the Australian landscape. 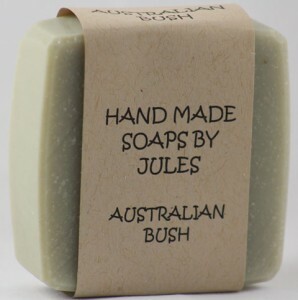 The luxurious bush soap dates from the late twentieth century, coinciding with the growing interest in making use of Australian native plants in cooking, cosmetics, and toiletries. This entry was posted in popular culture, rural Australia, women and tagged bush, bush bass, bush furniture, bush soap, McLeod's Daughters, Word Box by Julia Robinson. Bookmark the permalink. Interesting post. Thanks! And I like the inclusion of the last sense of ‘bush soap’. I hadn’t thought of that one! Thanks for the comment, and the info on ‘souptri’. The Australian National Dictionary records ‘soap tree’ from 1923, and defines it as Alphitonia excelsa, or red ash, whose leaves can be used as a soap substitute. Perhaps we need to cast our net more widely.